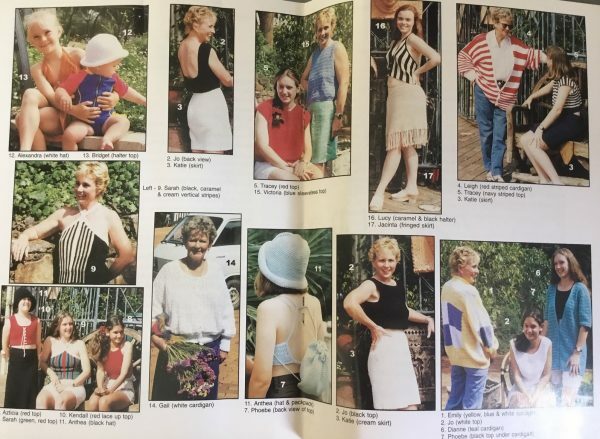 Home » Archive by Category "Crochet"
My first time happened over 20 years ago now when our daughters were only 9 and 11, Australian Crochet magazine came to interview me. Here is my very first 2 page write up in a magazine. 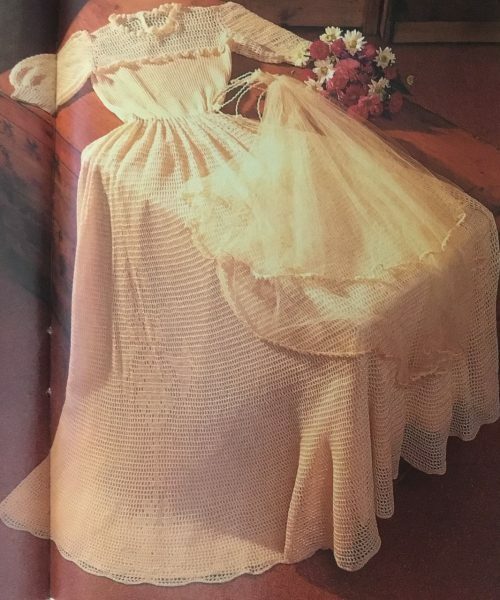 It is the best photo of my wedding gown that I crocheted and wore 37 years ago. I have it stashed here at home with a few other boxes that have had to be labelled historical crochet as I have been creating for so long. 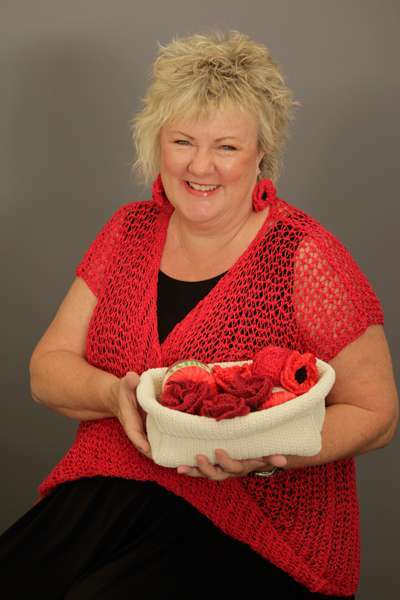 One day I can have a” Historical review of Crochet as captured by Jenny King” as have so many pieces that I couldn’t ever part with. T he only thing I don’t seem to have kept is the first poncho I made when I was 10. Featured in this article were my delicate beaded bags and some of the garments featured in my book Summer Collection. The top Anthea is wearing could be reworked and worn today. But she would need the grown up version NOW! I took this magazine when I first travelled to USA for the CGOA conference in Seattle ,Washington. This year is CGOA’s silver anniversary and I will be teaching every class allocation possible. 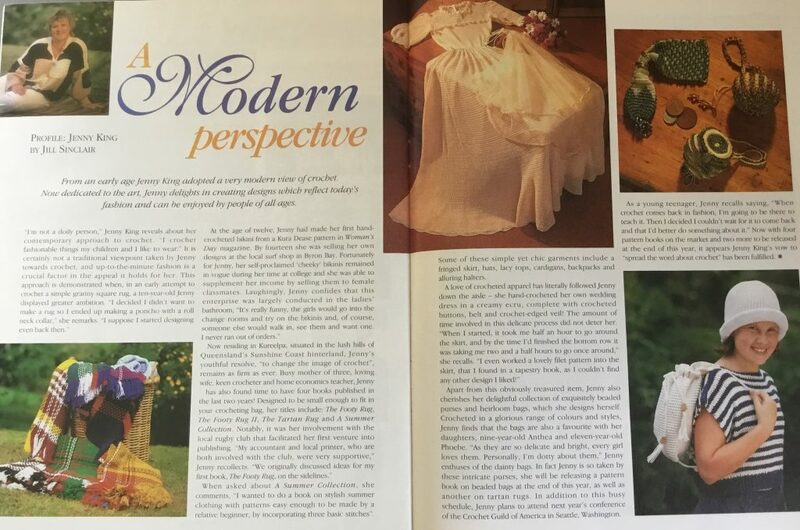 I’ve come a long way since the first newspaper article and magazine article and I thought I would take a walk down memory lane over the next few weeks with your permission. 2018 is a new year and a time for new beginnings. It has a great feel to it don’t you think? I’ve taken over what once was the family room in our house as my new sewing, craft room, office. Sorry kids it is all mine. Our son has a new job, our daughter has just settled into her brand new unit and my husband is retiring so we finally went to Tamworth Country Music Festival in our new caravan and that was brilliant. Life is good. Happy Valentine ’s Day to you. I hope you have a wonderful day on the 14th and everyday this year. And finally I can draw breath about Kids Squared. I know I launched it on you just before Christmas when everything was a hectic blur, but now, like me, you may have a chance to take a look at the preview. I made my first top down matinee jacket 34 years ago when I was expecting my first bub. New Get Squared designs coming – and they are just for Kids! Do you have a little one coming into your life either as your brand new baby, grandbaby or a friend’s baby then I have the most exciting news. 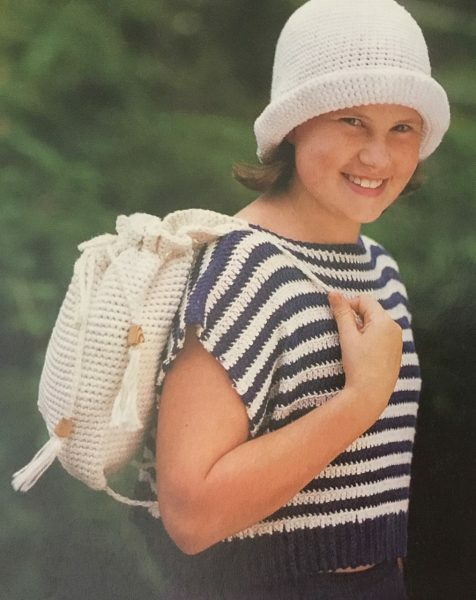 Or do you want to make some simple yet trendy garments for you older children? If so I have the solution. 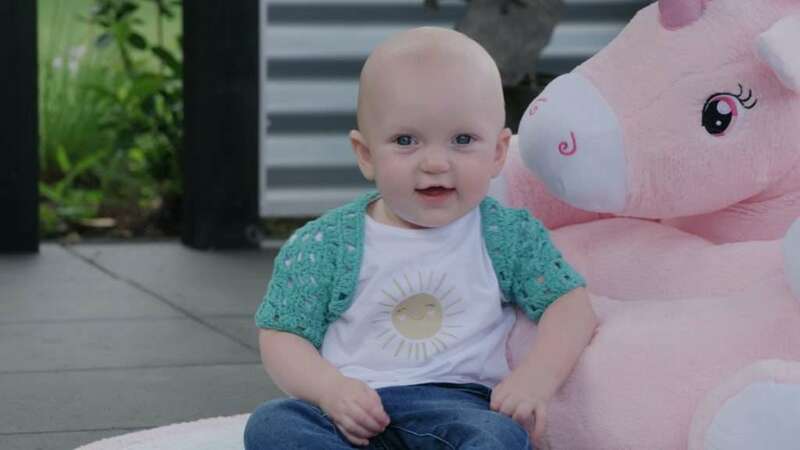 I have used the ease of the Get Squared ® technique to create a children’s range of crochet garments that require no seams, are worked from the top down, and like Get Squared ® require you only to know the age of the child or their chest measurement to complete the garment. Simple repetitive stitching, no wordy patterns, no seams and quick easy garments are a promise. I’m back in the yarn business again. I wasn’t going to, I know, but I just couldn’t help myself. 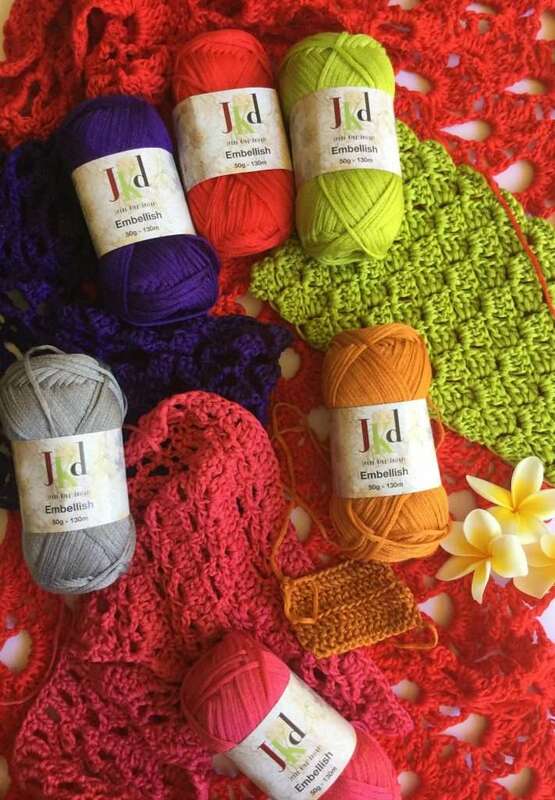 I love beautiful yarns. I can’t in all honesty say it was against my will. When I was given the opportunity to design them to my very own specifications in the colours I desire I was like a moth to a flame. I’ve always been in the search for the perfect yarn, aren’t we all? 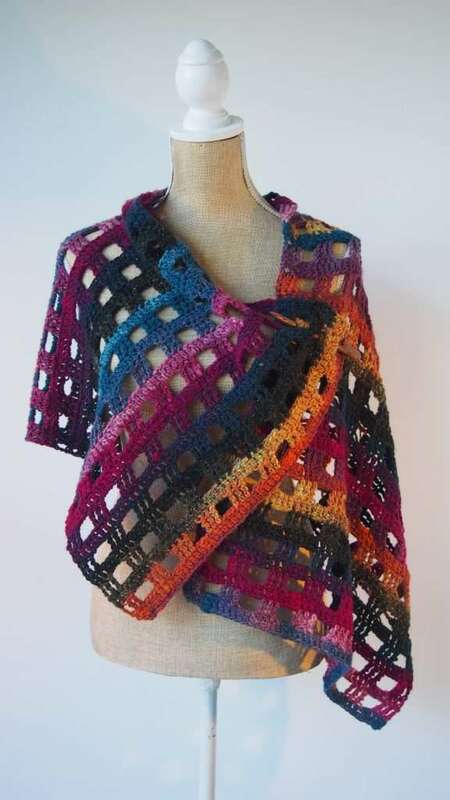 Normally my first choice would be wool and there are many wools that I love but let’s face it I live in Queensland, Australia and there are only 6 weeks a year I can wear it, and even then I would have to stand outside, on the football field, after the sun goes down to wear it. 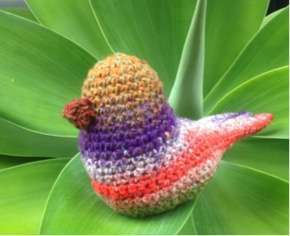 Sometimes I get inspired by cute things, tiny little things of beauty. And I just have to re-create them. I don’t know if that is just because I can, or maybe just to see if I can. Sometimes the impulse is too strong to ignore. Jenny was recently interviewed by Benjamin Levisay, CEO of XRX in the US for Fibre Hooligan. Fibre Hooligan is a great pod cast series focusing on all things textile! As part of the 2015 Anzac commemoration, the 5000 Poppies project will be “planting” a field of more than 5000 poppies in Federation Square Melbourne. The 5000 poppies project has been created to commemorate more than a century of service from Australian men and women in war, conflicts and peacemaking operations. Let me introduce you to Ellen. On one of our first meetings Ellen suggested that we make ourselves into human International crochet symbols. And the funny part was that we did , and it seemed like such a good idea at the time. 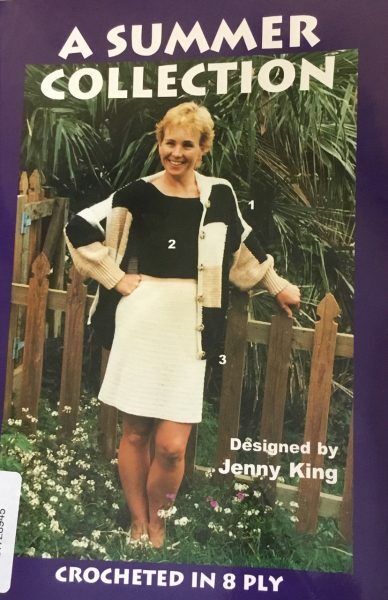 Jenny’s designs in Vogue and Crochet! Magazines again! 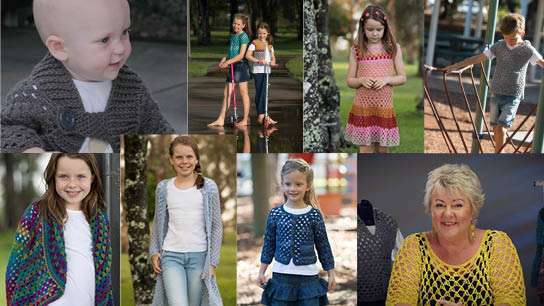 More of Jenny’s great designs are featured in the 2014 issue of the annual Vogue Crochet edition. If you want to get one from your newsagent you may have to request it because it is an International edition. You can see the cover and Jenny’s FOUR designs above.